This unique guidebook covers sightseeing destinations throughout Osaka Prefecture, both famous and unknown. 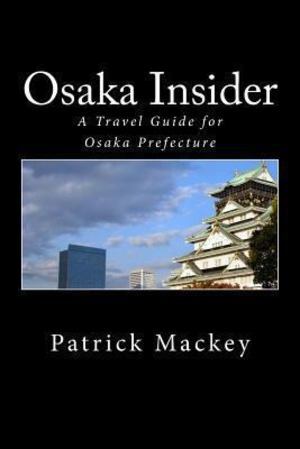 Written by a Japanese-speaking American expatriate and former long-term resident of Osaka, it offers an unbiased and in-depth look into the best things to see and do in Osaka, whether you are a first-time visitor or local resident. The addition of ramen and okonomiyaki guides, festival and event information, rail and walking maps, general sightseeing information and tips, essays by the author and more make this the single most comprehensive English-language guide on Osaka Prefecture to date. It's the guidebook that no visitor to Kansai should leave home without. Come to Osaka and discover the best-kept secrets of Kansai!